Even after a long day at work, one of the things I find comforting is when I get to cook. It’s an escape from a blinking (and demanding) computer screen and into the warm welcome of a kitchen counter, chopping board and pots and pans. But living near the Kapitolyo area (it’s been a year!) 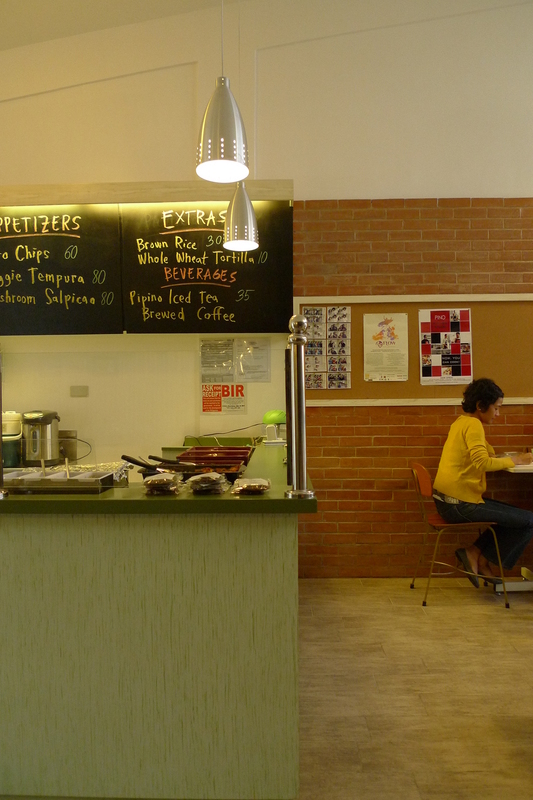 provides another source of comfort–exploring its bustling dining scene. I haven’t been slouching off anywhere out of town for almost two months, but I have been frequenting the kitchen lately to cook dinner or lunch that P can bring to the office. Last Sunday, my vegetarian sister brought some freshly harvested organic arugula to the house and we decided to cook pasta. She recently signed up to the Philippine-based Good Food Co., an organization that enables farmers to grow organic produce and connect them with socially-aware consumers who want organic food on their plate. She signed up as a stakeholder and that means she regularly gets organic vegetables that are in season, while being able to help the small local farmers that Good Food Co. supports. It’s a good cause and as consumers we get to know where our food comes from and how it’s grown or raised. 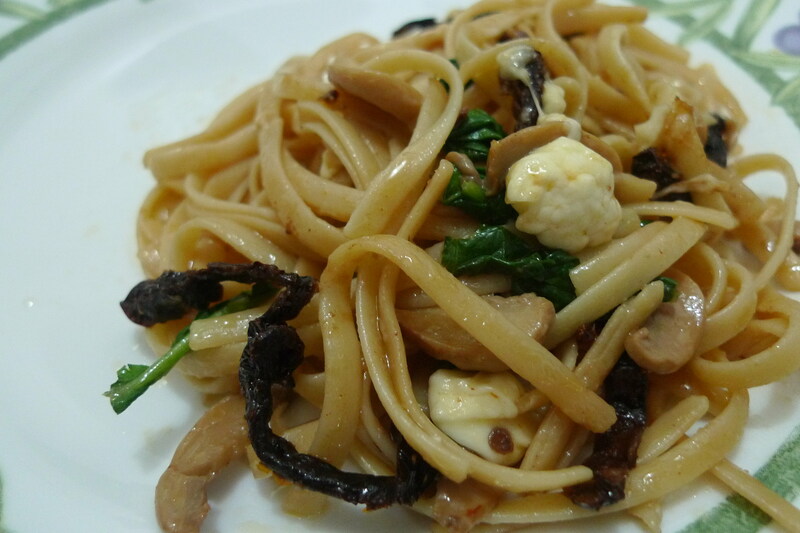 With the bountiful harvest of arugula from Good Food Co., some sun-dried tomatoes, goat cheese or kesong puti, garlic, canned mushrooms, and a pack of linguine from the cupboard, we made this meatless and very satisfying pasta. It had the wonderful flavors and textures of the peppery, bitter arugula, the chewy, sweet and tart tomatoes, the soft, subtle cheese and the comforting combination of olive oil and garlic. For the recipe: While you’re cooking the pasta (we picked linguine just because it was what we had in the kitchen), chop a few cloves of garlic, slice some sun-dried tomatoes and soak it in olive oil, rinse and slice some button mushrooms (one can) or some other mushrooms you prefer, wash and drain the arugula. 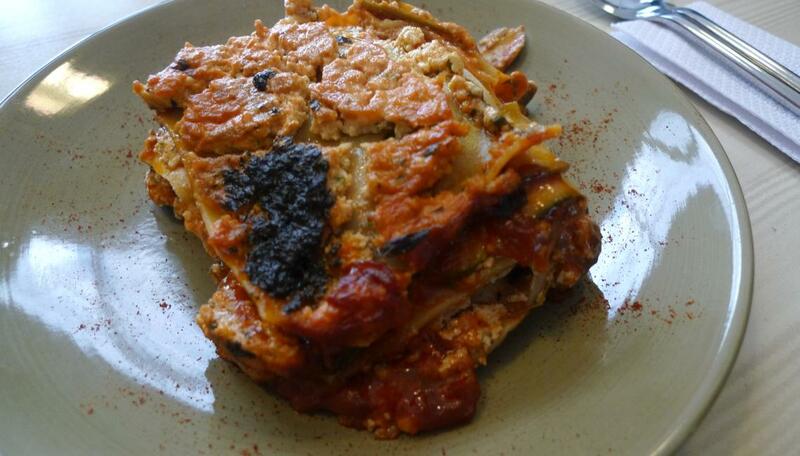 Yesterday was all about food–both the good and the not-so-good-for-you variety. We had a children’s party to go to at Pizza Hut in the afternoon and a vegetarian buffet of a fundraiser for dinner. 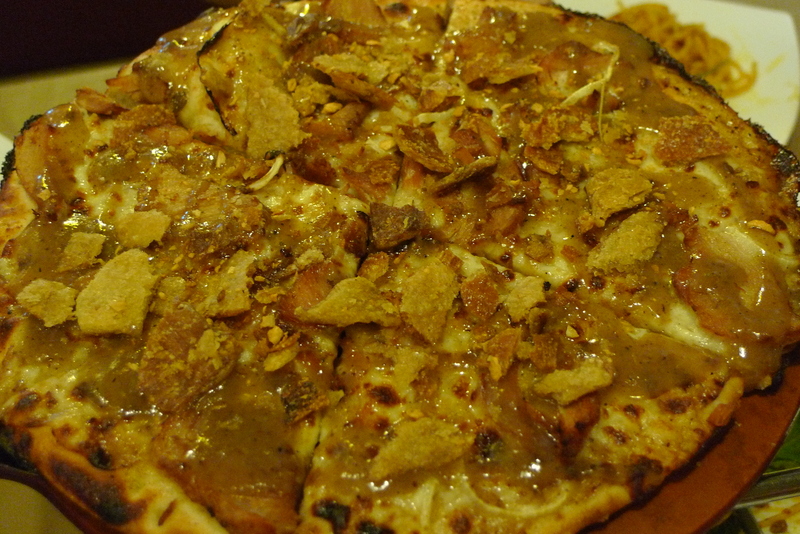 At the party, we got to taste Pizza Hut’s latest concoction–the Lechon Pizza. Yes, it is as sinful as it sounds. 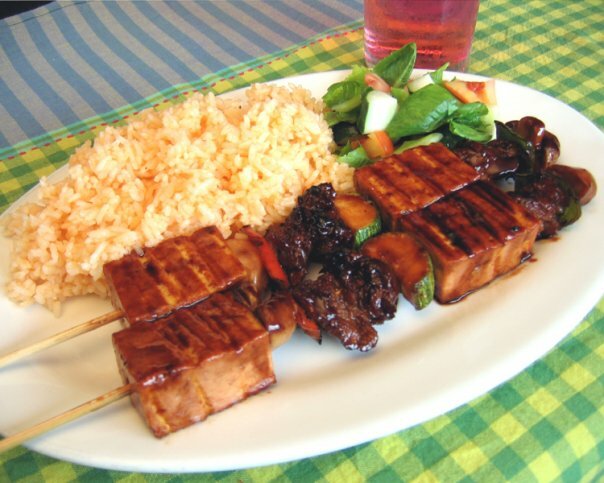 Lechon or roasted suckling pig is a beloved Filipino menu staple in fiestas, parties and all forms of celebrations. As celebrations and get-togethers are especially in full swing during the holiday season, it’s no wonder a pizza chain finally thought of incorporating many Filipinos’ favorite fiesta fare into their pies at this time of the year. So was it a genius mash-up or two things that never should have gotten together? 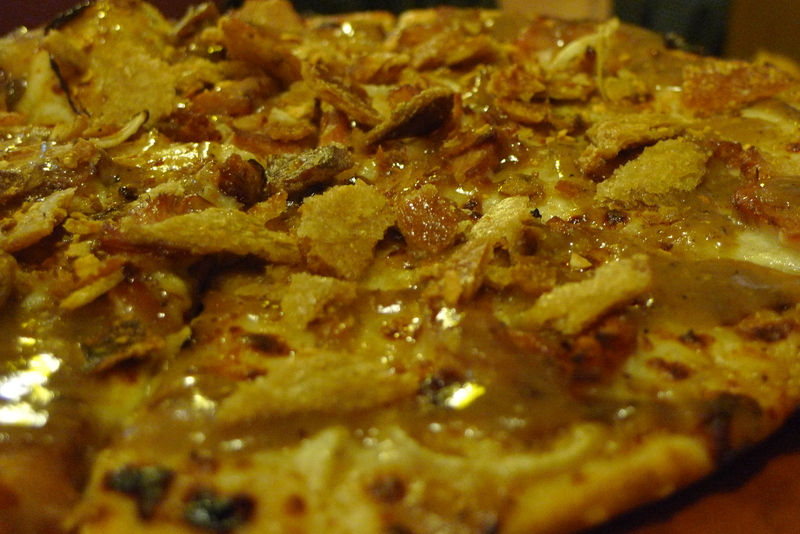 Pizza meet lechon. 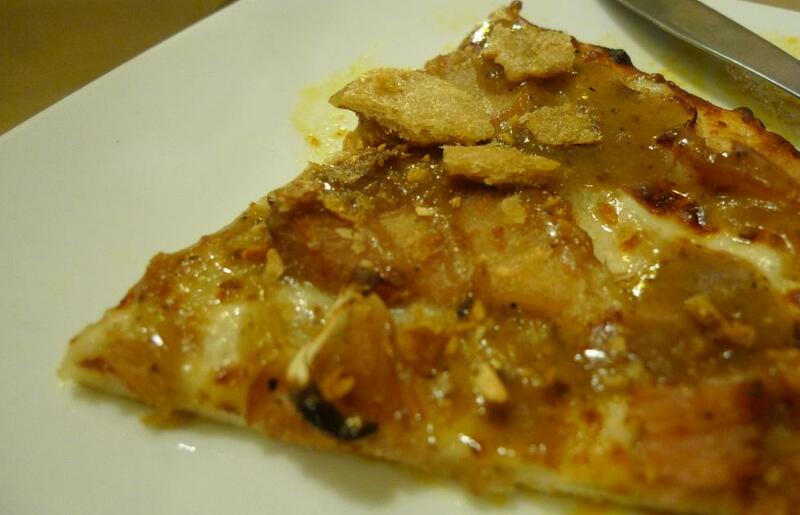 Lechon meet pizza.